From Crash Bandicoot 3: Warped comes the Deluxe Scuba Gear Crash Bandicoot Figure by NECA Toys. This figure is the fourth Crash Bandicoot variant released by NECA. As the name implies, this 5.5″ tall Crash figure includes a scuba tank, mask and breather. The figure joins the previously released Crash Bandicoot standard figure, the Deluxe Jetboard Crash, and the Deluxe Jet Pack Crash Bandicoot. The Scuba Crash is on its way to retailers and should be hitting stores very soon. Our friends at NECA sent over the figure for us to check out. You can see our » Continue Reading. 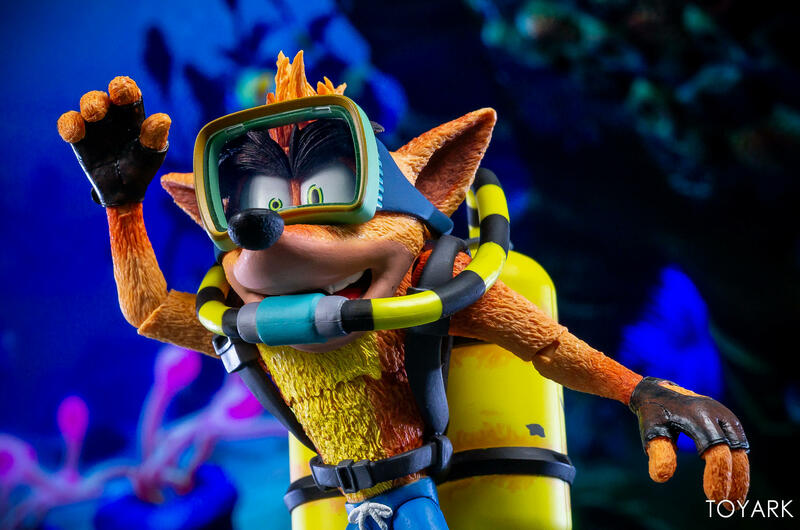 The post Crash Bandicoot – Deluxe Scuba Gear Crash Figure by NECA – Toyark Photo Shoot appeared first on The Toyark – News.